Please Note: This dataset is retired and will not be maintained in the future. However, this dataset is displayed for archive purposes and may not reflect the most updated information. Please contact podaac@podaac.jpl.nasa.gov for more info. Citation National Climatic Data Center. 2007. 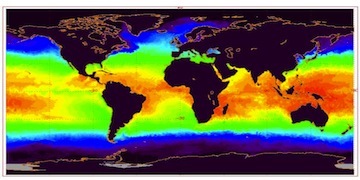 GHRSST Level 4 AVHRR_OI Global Blended Sea Surface Temperature Analysis. Ver. 1.0. PO.DAAC,	CA,	USA. Dataset accessed [YYYY-MM-DD] at http://dx.doi.org/10.5067/GHAAO-4BC01.